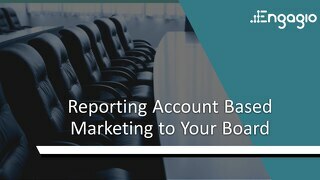 Before starting your ABM program and putting together attribution models, you have to decide if it’s the right type of reporting for you. 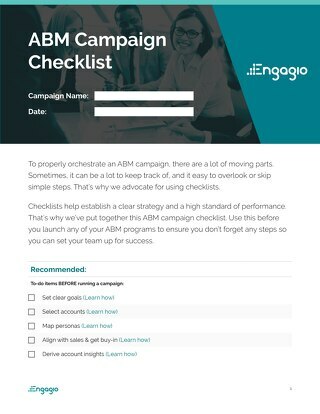 You must ensure you’re optimizing marketing spend. 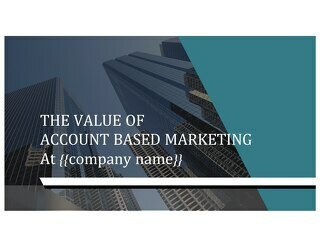 You must determine which target markets are most profitable. 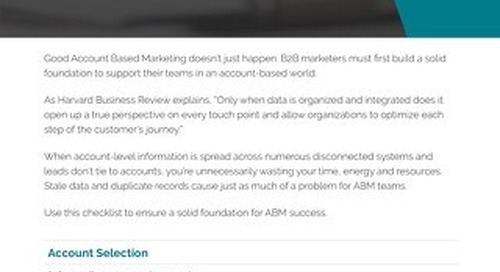 You must ensure you have the right technology to support ABM. 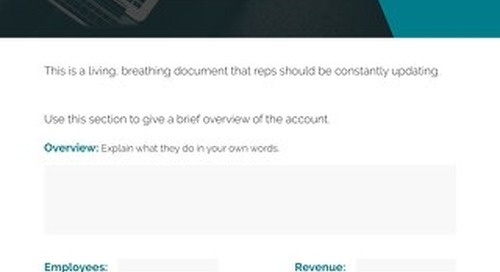 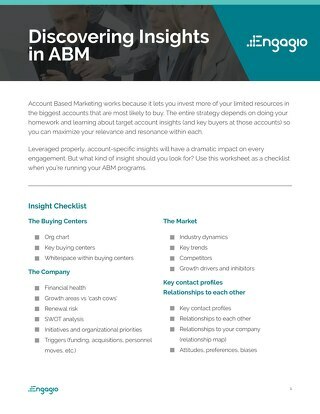 Use this worksheet to help get your ducks in a row before implementing ABM analytics and attribution models. 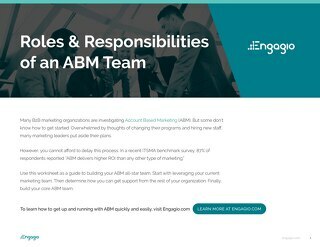 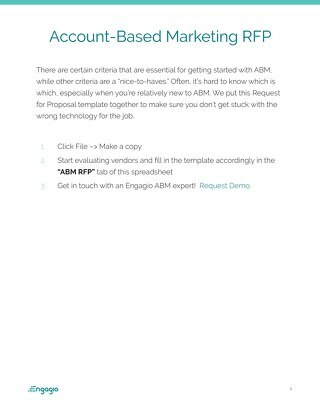 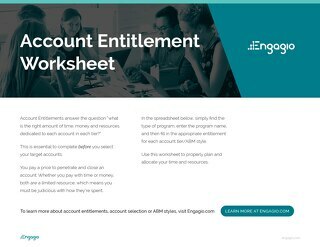 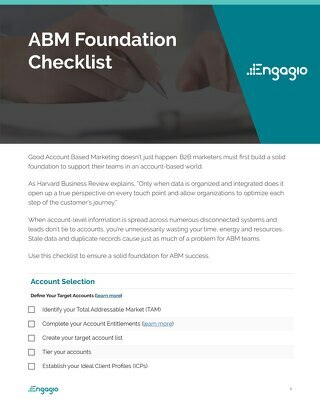 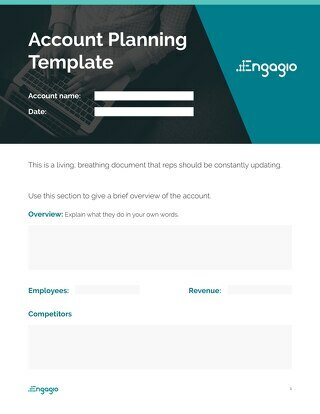 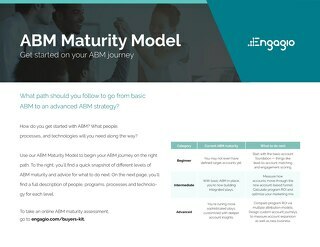 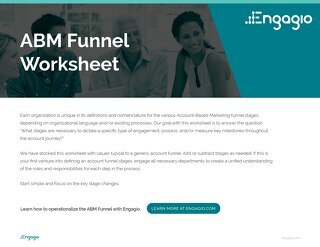 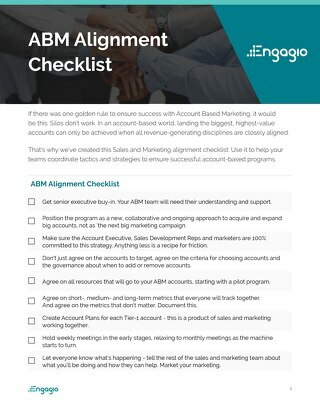 Download Engagio's new Clear and Complete Guide to ABM Analytics.